Challenge yourself to a powerful, vinyasa based practice that is not for the narrow minded and not for the weak. 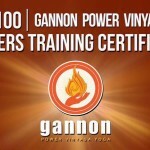 Always with the stimulating, rocking playlist that has becomes Gannon’s driver of a high-energy practice. And, now you can learn to teach this same practice! This is the same practice style that Michael Gannon has been teaching regularly at Yogaloft Playa del Carmen, since the yoga school opened in 2013. These GPVY Teacher Trainings are newly developed certifications that are pre-registered with Yoga Alliance worldwide, LAIYLA Mexico and Yoga Alliance UK. Each GPVY 100 Teacher Training is 10-days and the tuition is only US$1,500. In Pesos it is currently 29,700 MXN, minus a special discount of 5,000 MXN for Mexican Nationals = 24,700 MXN. Each 10-day training can be taken individually or combined to form your RYT-200 Certification. 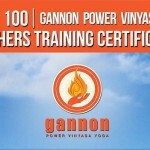 Michael Gannon Yoga is now a YACEP (Yoga Alliance Continuing Education Provider), so these teachings may be used for Continuing Education toward your RYT-500 Certification. If you have practiced with Michael in his signature, Gannon Power Vinyasa Yoga classes, you know how amazing this system is! US$1,500 Each GPVY 100 Teacher Training is 10-days. In MXN tuition is currently 29,700 MXN. Receive a US$100 discount on each GPVY 100 when you make a single paymen (US$2,800)t at least 2-months before the first training start date (Plus any payment fees incurred with Paypal or bank transfers). Please fill the Application Form for this Teacher Training.